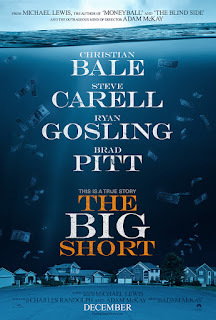 Invest Openly: Why I Think The Big Short Will Be A Great Movie? Why I Think The Big Short Will Be A Great Movie? If you have not already know, I am a movie buff. I might not have watched as many movies as I like, due to my work schedule and family commitment, but I do still watch/read a fair bit of movie related articles, blog posts, trailers and reviews etc. The movie that I am going to talk about and recommend next is quite related to personal finance. 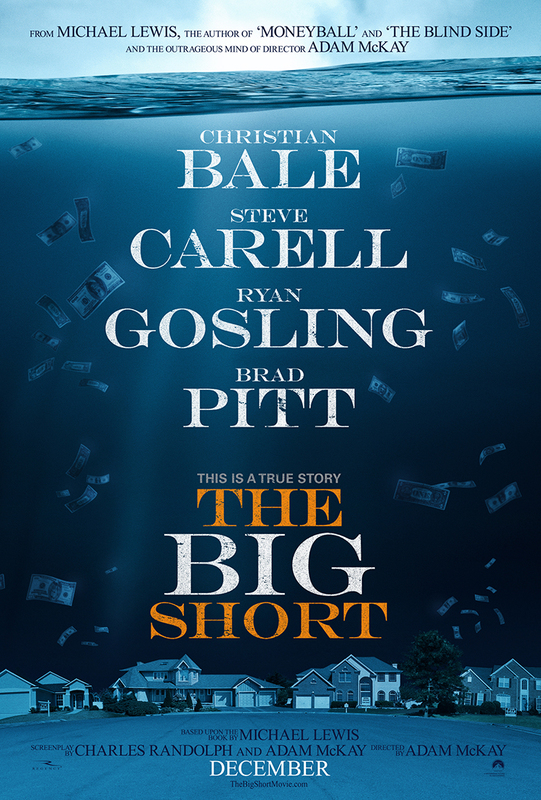 It is an adaptation of the 2010 novel by the popular author, Michael Lewis : The Big Short. Personally, I've not read the book and hence not known much about the details. However, I do know that it is revolving around the credit and housing bubble collapse of the mid-2000s in US. The movie has been released in the US last month and will be released here (Singapore) on 21st Jan 2016 (Thu). I intend to watch it with a bunch of financial blogger friends (still in the midst of arranging, hope can make it at last). This is one of the strongest male casts movie in the recent years. Christian Bale (aka the Batman), Brad Pitt, Ryan Gosling and Steve Carell just to name a few. Early reviews by the US audience seems to indicate that all their performances are top-notch, especially Steve Carell (surprisingly, since he is well known for the comical role). Since it is an adaptation of a popular book by a great author, don't think the story/plot will go much wrong. Understand from a couple of friends that the book is awesome! Besides, it was directed by Adam Mckay (whom brought us Step Brothers, Anchorman 1 & 2 and The Other Guys), I am sure he will inject lots of funny and fun moment in the movie. The Big Short has an IMDB 8.1 (out of 10) rating which is pretty good. Just to put thing in perspective, the recent craze, Star Wars - The Force Awakens has a rating of 8.5. I do aware that movie is kind of subjective and each individual has different liking of genres. Having said that, I am quite sure that I will be enjoying the movie in the cinema soon. Would you be watching this movie when it is out?